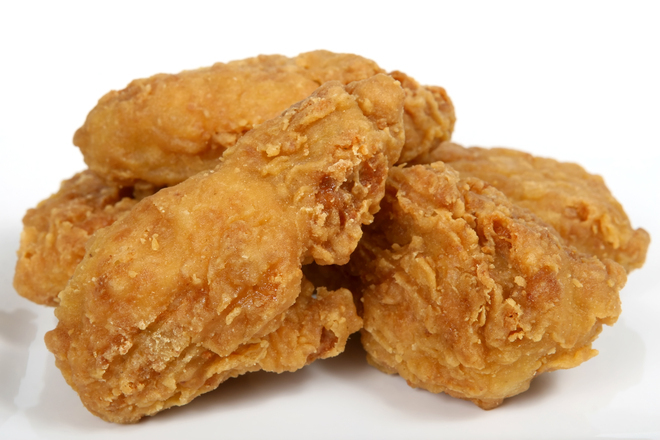 Consumers who noticed the foreign substance in their fully cooked chicken nuggets first discovered this food contamination. This plastic is believed to have once been part of a rod used in a conveyor belt at the factory that transported the nuggets during the production and packaging process. The company has issued a statement that it has safety protocols in place and performs a thorough safety inspection on its products before they leave the production center, but they did not have any scanning equipment capable of detecting plastic. They do, however, pass all food products through a metal detector to check for foreign objects, but this would obviously not discover any plastic. Another type of check done by the company is a test for any bacteria or other sources of contamination, but, again, these measures are not designed to discover plastic. As our Boston products liability attorney can explain, Massachusetts and the Massachusetts Supreme Judicial Court were actually the source of a landmark food safety case after a restaurant guest was injured when eating a cup of fish chowder made in Boston. The man ate his fish chowder and was seriously injured due to the presence of fish bones in the soup. The court went through the recipe of fish chowder and how important it was to diners in Massachusetts, and explained that one could expect to find bones in authentic fish chowder. This case was Webster v. Blue Ship Tea Room. The ruling was that if one should expect the bones in this authentic chowder, that the user had essentially assumed the risk of this type of injury. This case resulted in a major ruling with respect to the implied warranty of merchantability in the Uniform Commercial Code. However, while one might expect to find fish bones in fish chowder, thus excusing the restaurant from liability, one would not reasonably expect to find plastic in chicken nuggets, and this could be considered a breach of the implied warranty of merchantability. However, it should be noted that there were no reported injuries as a result of the plastic contamination in the chicken nuggets as of this time. The concept of the implied warranty of merchantability is that whenever someone buys a product from a regular seller of that type product (a merchant), there is an implied warranty that the product will work when used as intended, and there is a warranty that the product will be safe for users. If a product is not safe when used in the manner for which it was designed, this may be a basis on which you can recover in a products liability case.